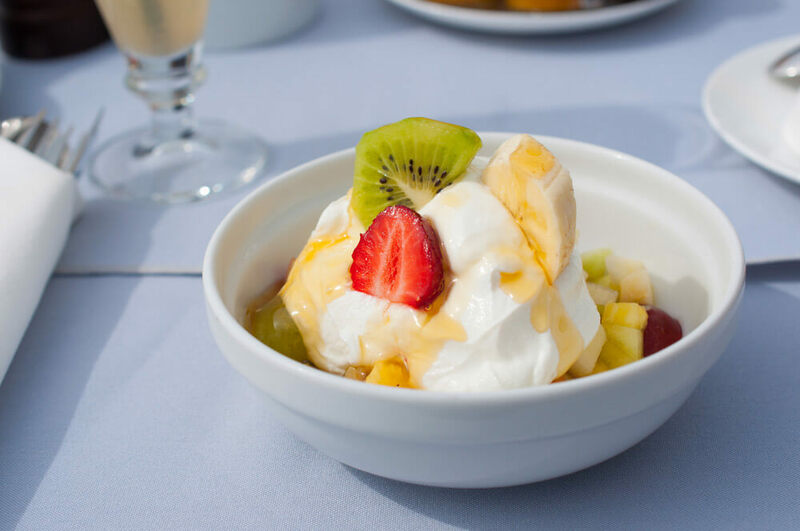 I have the pleasure of sharing the Benefits of Combining Honey and Yogurt: Things You Need to Know by today’s guest host Vivian Carpenter, creator of Cooking Is Passio! There is so much more to being a food blogger, chef, or anyone else that prepares food for themselves, their family or the public, such as the uses of ingredients, kitchen techniques, and tips, and food safety. Vivian does a beautiful job of this on her blog Cooking Is Passio. Today she is sharing here on Hostess At Heart. Without further ado, take it away Vivian! 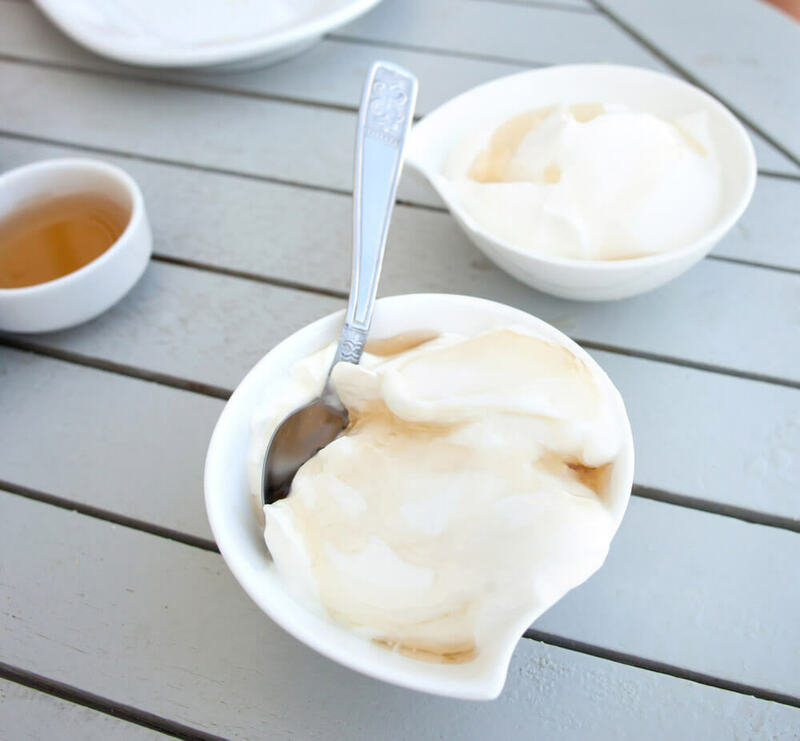 This post will talk about the wonderful benefits and uses of honey and yogurt. When combined, these two are not just delicious—they also provide lots of great nutrients! Most of us already know that these two provide good health benefits, but you can actually get more good stuff from them if you mix them together! This combo is not only good for the body—it’s amazing on the skin as well. These are the things that I’ve learned from friends, research, and my own experiments. Some are backed by science, while others are gathered from friends who swear by them. I hope you enjoy reading! First things first. Before I discuss the good stuff, I’d like to talk about the ingredients I used in these mixtures first. For all items on the list below, I only used plain Greek yogurt and 100% raw honey. No flavorings, added ingredients, and extenders. Make sure that when it’s time for you to try these out, you use these, too! When buying plain Greek yogurt, look for those that have no preservatives, no artificial flavors, and are not genetically modified (non-GMO). The pack should also indicate that they have live and active cultures. Don’t forget to take note of the expiration date! When buying honey, see to it that it’s marked “pure” or “raw,” and doesn’t contain any artificial sweeteners. If you’re not sure, you can do a quick and easy test using a glass of water. Raw honey does not go bad, so don’t worry about spoilage! 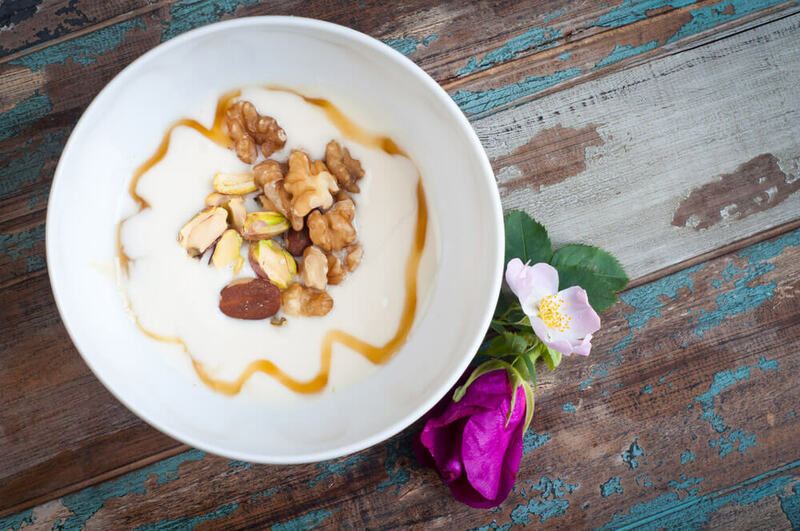 Yogurt is packed with protein and honey has a high content of glucose (a form of carbohydrate). People who work out need both of these to keep them going; both are necessary for endurance and muscle recovery. 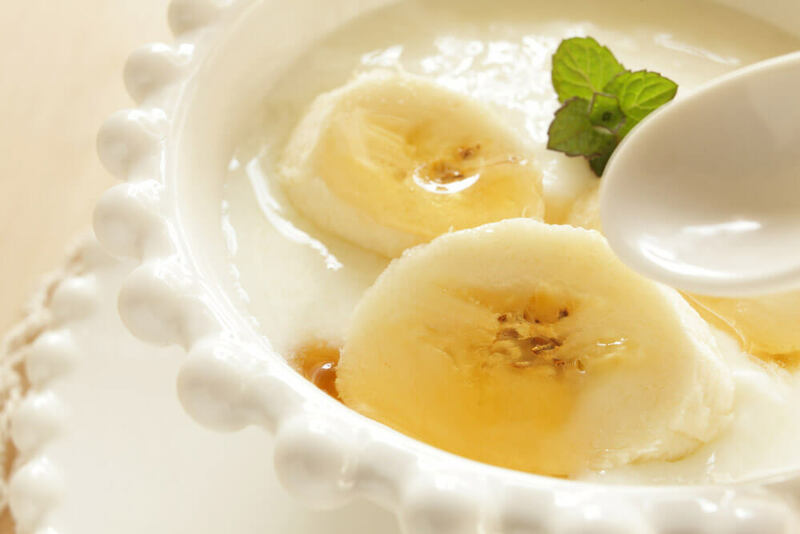 When eaten together, the protein in the yogurt and carbohydrates in the honey will allow those who exercise to have more energy, have a faster healing process (for those who do intense workouts), and recover the natural way. I work out three times a week—I use the treadmill, elliptical, and do an hour of yoga. 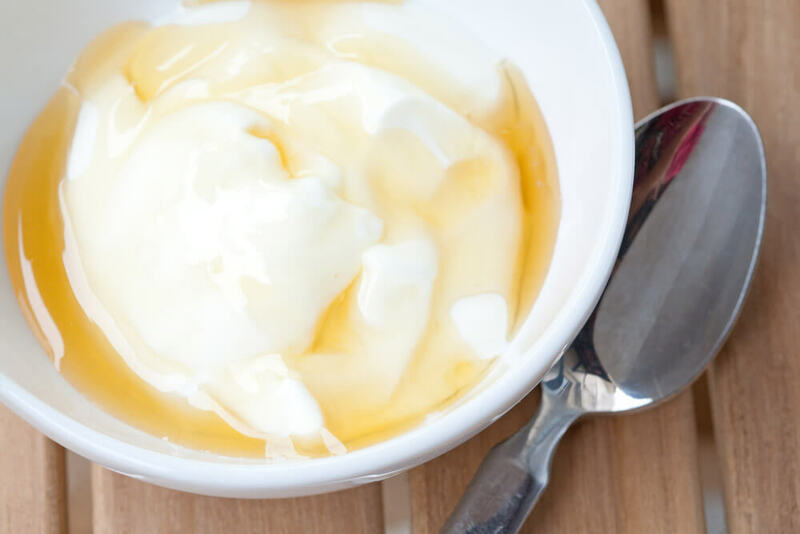 One of my favorite post-exercise snacks is Greek yogurt with a drizzle of honey (most of the time, it’s less than a teaspoon). I always feel great afterward, and the best part is, I don’t immediately run to the refrigerator and gobble up the first thing (which is usually unhealthy) I see! One of the most popular benefits of combining honey and yogurt is they help you achieve healthy skin. When these two are combined, they provide exfoliating properties that will give your skin a healthy glow! I’m always on the lookout for do-it-yourself, organic skin-care treatments. Yogurt is not only a staple in my fridge for eating—it also serves as a moisturizer and skin repairer! I simply apply plain yogurt on my face after I spend a little too much time under the sun, as it helps keep the wrinkles at bay. It is also very good at getting rid of dead skin cells! The addition of honey helps a lot in exfoliation. The honey and yogurt combo is not only great for skin exfoliation. A lot of people also swear by its acne-fighting benefits. Yogurt is a great source of zinc, minerals that can help fight acne. Those who have problems with acne apply zinc topically (usually with supplements), but more and more people, especially those whose acne is inflamed, have actually started using yogurt! Honey contains antibacterial, antiseptic properties that help kill skin germs, and anti-inflammatory properties that can help lessen the annoying red (and painful!) acne. Making a yogurt and a honey facial mixture is simple. All you need are two tablespoons of plain yogurt and a teaspoon of raw honey. Apply the mixture on a clean, dry face. Leave it on your skin for 10 minutes, rinse with warm water, and pat dry with a towel. If you or your kids are having problems with acne, I strongly suggest that you try this first before you start using strong facial soaps with chemicals you can’t even pronounce. Sometimes, using natural ingredients is the answer! Yogurt contains probiotic lactobacillus, which has helped me countless times when I had an upset stomach or diarrhea (sorry for the TMI, but we’ve all been there!). Greek yogurt tastes a bit like sour cream, so to add a bit of sweetness, I drizzle about one tablespoon of honey every time I have my dose. Prior to doing my research, I did not know that the honey is said to contain probiotics too! Honey is said to contain probiotic bacteria that is endemic among honey bees! My research revealed that the bacteria is called Lactobacillus Kunkeei, which is also present in the bee pollen and royal jelly in the hive. Did you enjoy reading the list? I hope you did! I had a great time writing it—and I even learned a lot of new things in the process. 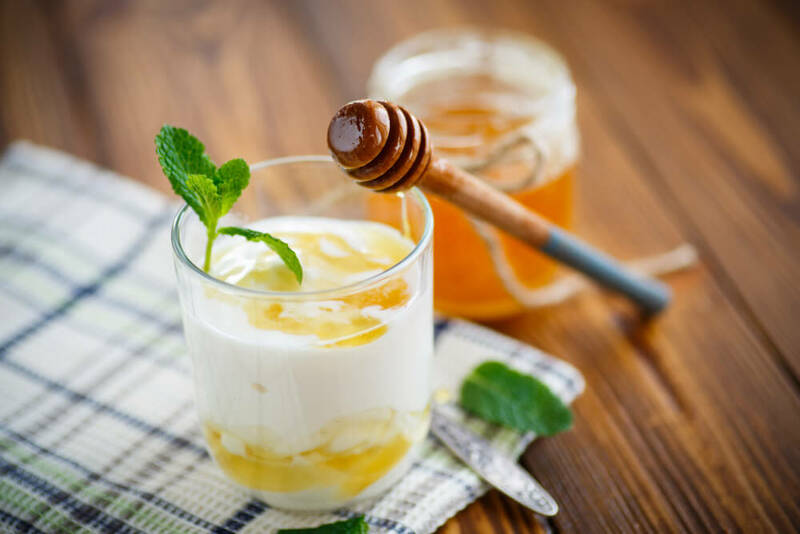 Honey and yogurt are good on their own, but when combined, they provide wonderful flavors and excellent health benefits. It’s time to maximize their nutrients by incorporating them into your daily snacks and meals! I’d be happy to hear about what you think! Share your thoughts and suggestions in the comments sections below. Please feel free to share this post with friends and family, too. Until next time! I want to thank Vivian for such a great resource and for sharing with Hostess At Heart. I hope that you agree. Believe it or not, Vivian is fairly new to the blogging world so we would really appreciate it if you would check out her blog “Cookingispassio.com” and some of her other amazing posts! 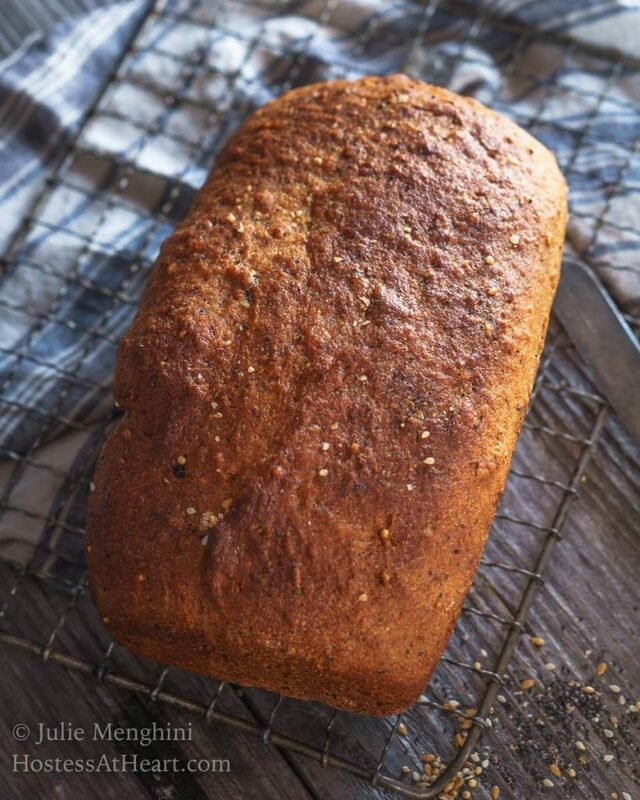 If you’ve got some of that honey left over, here are a few of my favorite recipes that you’ll need it for! 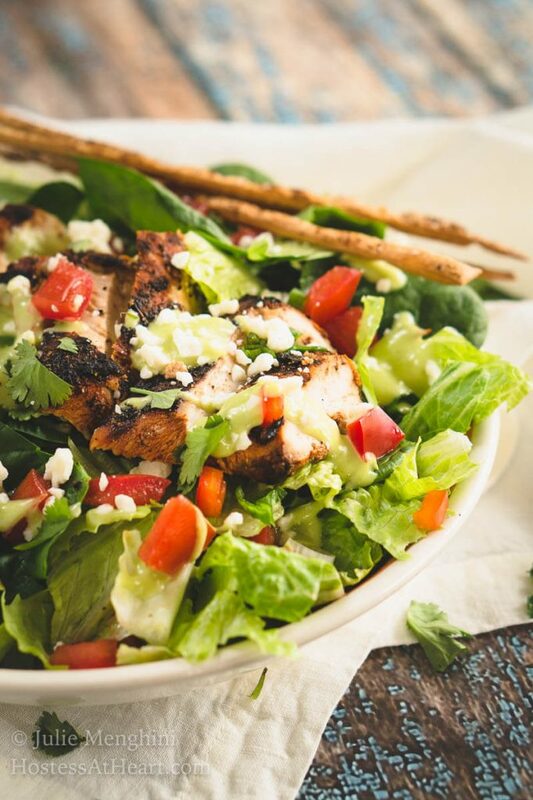 Mexican Grilled Chicken Chopped Salad with Honey-Jalapeno Dressing! Who knew there were so many benefits to a combination that I already love!! 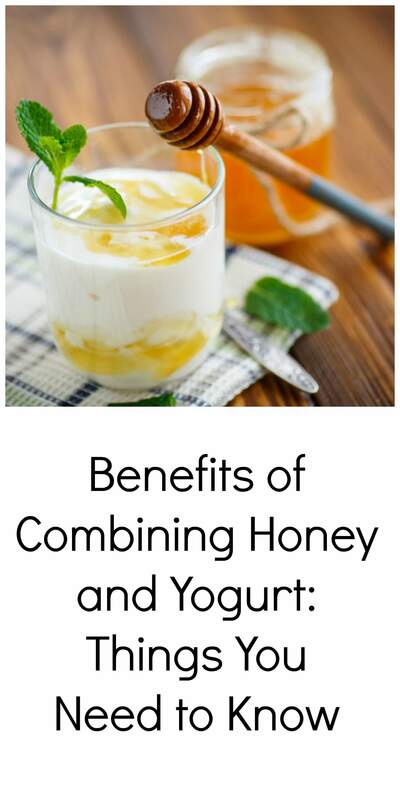 All the more reason to enjoy yogurt and honey! We love honey and love that it has so many benefits! I believe raw honey is a prebiotic and therefore feeds the probiotic yogurt!! And they taste amazing together! Thank you Marie! Interesting post, I had no idea even though 5 days out of 7 we eat fresh fruit, greek yogurt and a dollop of honey for dessert. I’ve got to try the mask, God knows the older I get the worse it gets. but I’m probably too far gone already LOL! I need a honey dip Loretta! LOL. I learned quite a bit from Vivian on this post too. LOL Lily! I need a honey dip! Excellent list, I have bookmarked it. Thank you Claire! I am glad you like it. Very helpful information. I eat Greek yogurt every day, usually plain but now will add a drizzle of honey!! I love yogurt but usually get the ones with the fruit. I’ve got to try this one. Have a great week Suzanne and give Percy a hug for me. Thank you, Judi! This young lady is well on her way and I had the pleasure of seeing her work. She’s very thorough! That really comes out in your work Judi. It’s evident that you are always absorbing information and have a real passion for it. I love to read and am battling with myself to slow down and enjoy the process a little more. What is the test that uses a glass of water? Hi Jeff, we can know that honey is raw or not by doing a quick and easy test using a glass of water. Please put honey drops into a glass of water. If honey dissolves in water and you can see it around the glass, it is adulterated or artificial honey. Raw honey will settle right at the bottom of your glass. I very often use honey (for both eating and doing a skin care regimen) and I always test raw honey by this method when buying. You can try it out. Thank you Vivian! Very interesting! As I read this, I’m eating breakfast which is oats w/honey! Next time I’ll add a dollop of yogurt on the top. Great information and I always love learning new things, thank you! Nice to meet you Vivian! Thank you, Debra! I love that idea too!